Will It Grow? Part 2: We Rise! We Live! So, remember when I bought a Cascade hop rhizome, planted it, and then told you folks that I’ll let you know how it goes? They started to sprout after a couple of weeks and then once it was fixed up so it had some support to get up on the frame of my porch the vine grew incredibly fast. Thankfully, up here we’ve been getting a lot of rain and sun in equal measures this summer, so they were pretty low maintenence. The cones didn’t start forming until about three weeks ago and every week they seem to get bigger. They make my porch just that much more beautiful. While the cones are pretty big, they aren’t ready for harvesting yet. Apparently the time to do it is when they actually start to give off that wonderful, citrus-like aroma that I love so much. As for what to do with them after harvesting…I’m not sure. 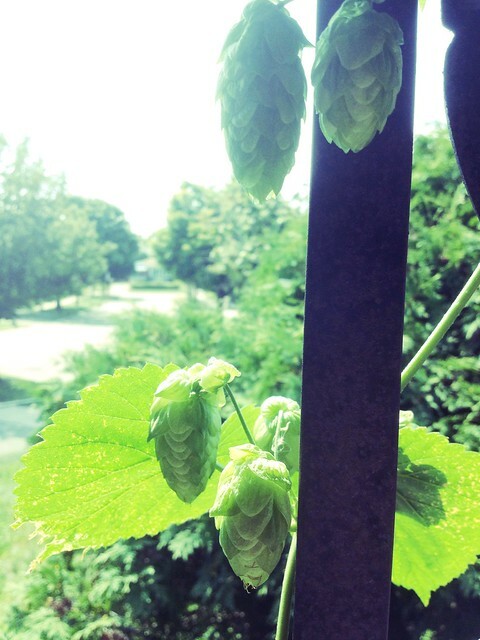 I originally was thinking of using them to dryhop a homebrew (since I don’t think I got enough hops for a full batch [which is TOTALLY okay because apparently in the first year you don’t get many cones]), but I’ve been in talks with someone who is also growing Cascade hops and there are talks of maybe doing a beer with them. We’ll see! But so far…I’m really happy that I decided to pick up a rhizome to try out and will definitely be picking up more next year. 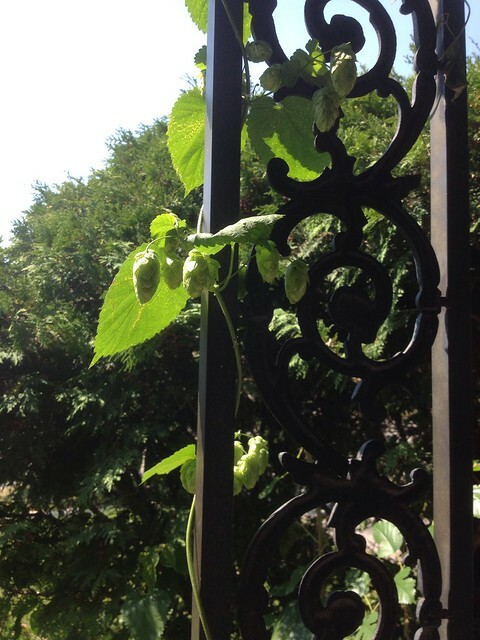 And even for the beer lover who doesn’t brew their own, hop vines are an incredible decoration for your home. But anyways, I’ll let you know what happens with these little guys soon. Stay tuned. Next Post Wait, Summer is OVER?